This restaurant is permanently closed. 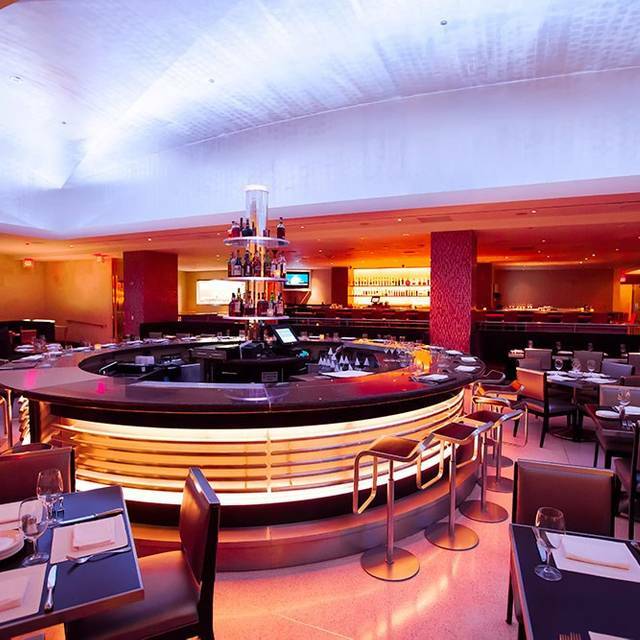 N9NE Steakhouse at Palms Casino Resort offers an array of USDA prime aged beef selections, fresh seafood and innovative side dishes in a sophisticated high-energy environment. 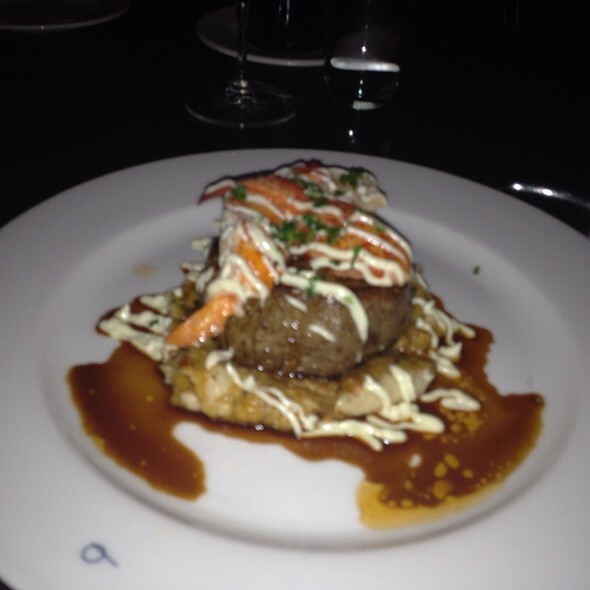 N9NE Steakhouse represents a dramatic departure from the traditional steakhouse. 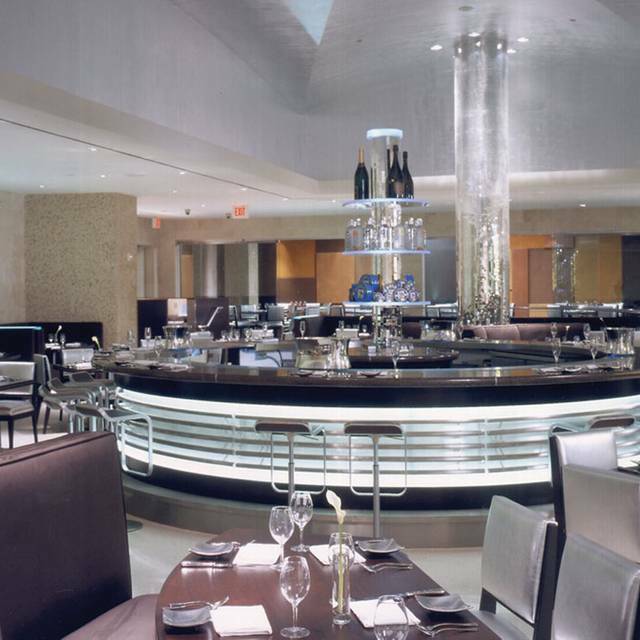 As you step into the most electrifying scene Las Vegas has to offer, allow yourself to be seduced by the flavors & ambiance of our restaurant. Private dining space and group menus are available for groups of 12-250. Had a reservation - showed up to restaurant and the restaurant was closed for renovations. No one from Open Table or N9NE called to inform us - highly inconsiderate on both parties. Took a reservation but the restaurant was closed. Upon arrival, the valet informed us that the restaurant was "closed for renovations". Upon closer review, it was revealed that new management had laid off several hundred Hotel staff members and closed many of the on site restaurants without notice. We had to scramble and make reservations somewhere else. Some advance notice would've been really appreciated, as this was a business dinner w/ guests from out of town. Stop here every time in LV. Top notch service ad food! Excellent food!! Worth the trip!! Service was superb, wine was perfect! Pricey, but that was expected!! The best steaks in the world. There is nothing better than their juicy dry aged bone-in ribeye. The mac n cheese side dish may have stole the show though. The crunchiness on top, the creaminess on bottom, the super cheesiness of it! OMG I want to go back. If you are a fan of fun spicy cocktails, the Watermelon Fuego-Rita has a nice jalepeno zip to it. Service is top notch, staff is friendly, smart, and comes by just often enough but not too often. Can't recommend this place enough! It's worth every penny!!! We've been to the top 10 steakhouses in Vegas, and an N9ne was the one my girlfriend kept talking about all of these years, so we circled back on our recent trip, and it just as great the second time around. 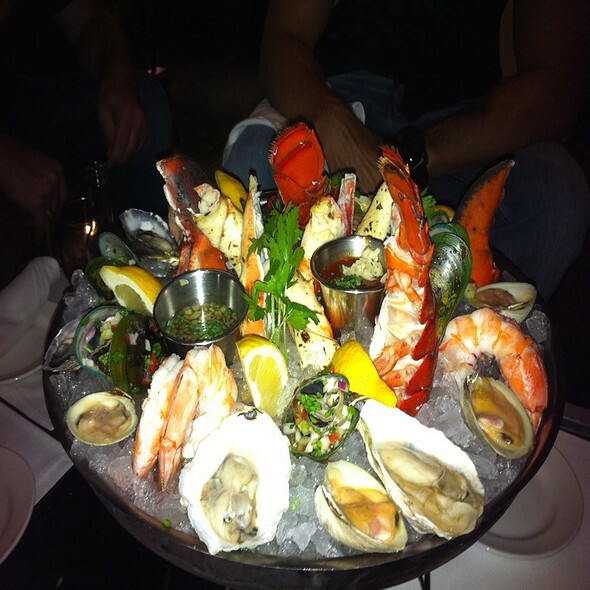 The appetizers, salads, and sides are great, while the main steak dishes are withing the top 5 in Vegas. The New York, and rib eyes are fantastic. Can't wait to try the Filet Mignon and Porterhouse next time. Went to N9NE for my wife's birthday dinner. It was AWESOME. Chef Barry is amazing - service was amazing, and the food was amazing. Can't wait to come back. 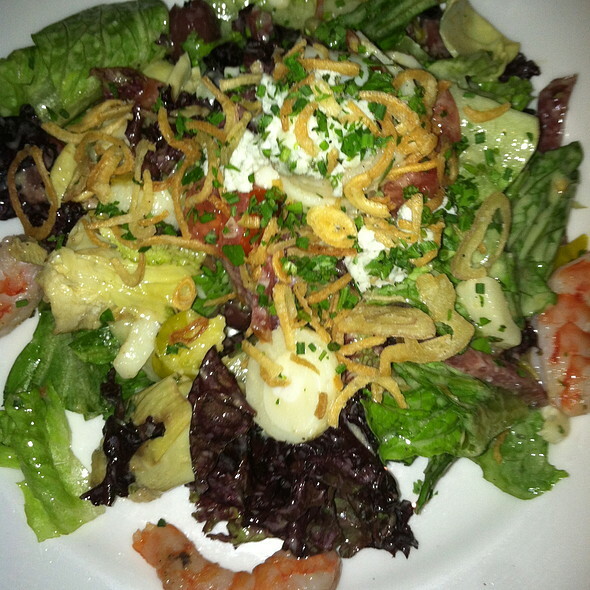 The menu is conducive to sharing which is great because there are so many delicious appetizers, entrees and sides. The Filet Mignon with a variety of sauces was tasty and tender. This was accompanied with lobster mac and cheese, gnocchi, and fresh spicy corn. The appetizers of lobster won ton and dumplings were delicious. The ambience is beautiful with darker lighting and vibrant music. Our server, Erik, was the key component to ensuring that everything was perfect. This is all in all a decidedly excellent dining experience. We got caught up with a friend who was in town for a convention. Great bar with excellent service and appetizers -- big thumbs up. Wonderful cocktails and flawless bartending skills were apparent. 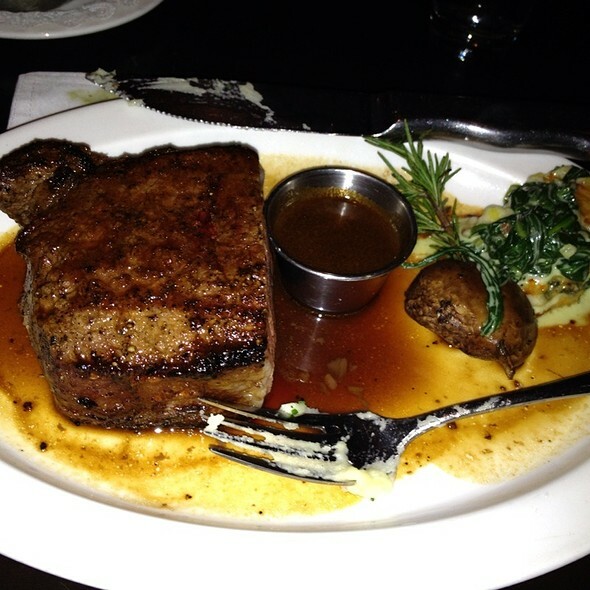 We segued to the "big red meat" meal -- an indulgent treat. Not for vegans or the gluten free crowd. But a terrific steak house and perfectly done steaks and all the trimmings. Went out for my girlfriends birthday and had an incredible dinner. One of my favorite steaks in Las Vegas! Great place to celebrate our anniversary! Was so looking forward to eating here. Waiter was friendly and personable. Oysters were fantastic. ordered 7 oz filet and ordered it medium rare after a discussion of ordering it rare +. Waiter said Kitchen knows what they are doing. I figured for. $50 filet of course they do. Most steaks in Vegas are great. Most importantly, my girlfriend ordered a Caesar salad. Since she is very allergic to shellfish, we begged them not to contaminate any of the dressing etc. No problem, we understand and will take care of it. Well, with rushed trip to the Palm convenience store to buy benadryl, we averted a very bad reaction to what she ate. With whichto enjoy them. Would not go back. TO BE HONEST, FOR WHAT WE GOT, IT WAS OVERPRICED. FIVE DOLLARS FOR A SMALL COKE BOTTLE WAS JUST THE START OF IT. OTHER PLACES MUCH BETTER FOR A BETTER PRICE. Phenomenal service, Phenomenal food , Phenomenal ambiance. We had high expectations for this restaurant and superseded that. Our meal was excellent. The 10 oz. Filet was cooked perfect. The sides including the noiches were delicious. We love N9NE and go at least once a year on our annual Vegas vacation. The lobster mashed potatos are a must!!! Went here for my wifes and I first anniversary, asked for some special accommodations and they did that and some! Our host was great, the drinks were nice and strong, food was amazing. Steak was cooked to the T. Overall great experience and would def frequent again. Thanks N9ne! Celebrating 35th wedding Anniversary.. Mark and his assistant George were fantastic! Food recommendations were spot on and very meticulous arrive/attention was provides. 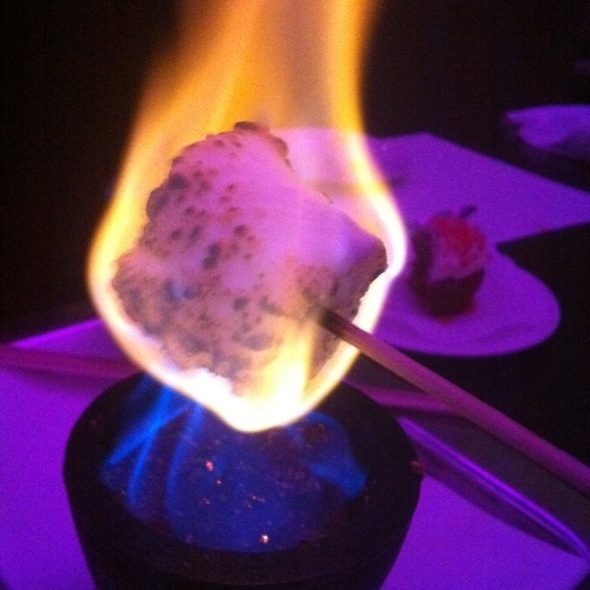 The N9NE Steakhouse is the best restaurant in Las Vegas. I plan my annual trip to Vegas around being able to dine here. 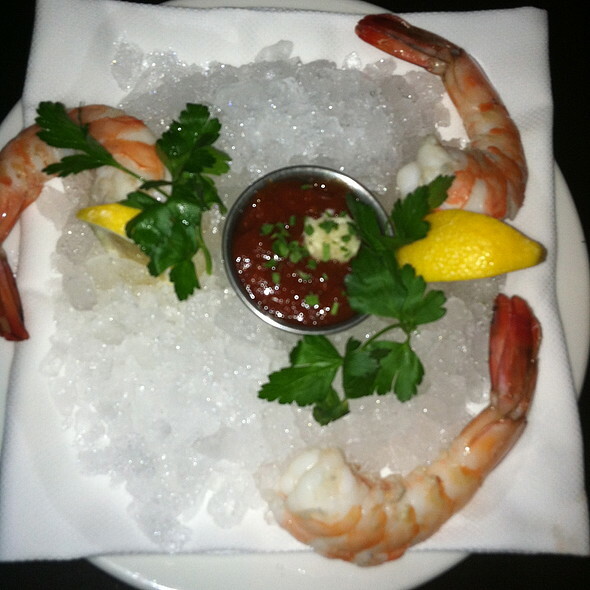 The food is superb, and the service is just stellar. The sommelier Marco is fabulous. He is quite simply the best. Other restaurant staff who are amazing include Helen, Rob, and Jeremy. I can't wait to come back. My husband and I come here every summer when we are in Las Vegas. Never disappointed. The service is phenomenal. The flavor of the food is fantastic. The bread they serve first is always a winner. It is not cheap but well worth every penny. Try the Au Graten potatoes. They are fantastic. I am not a huge steak person, but I always have steak here because it is always tender and flavorful WE Enjoyed it once again. We tried a lot of different things and everything was great. Try the lobstar potstickers and french onion soup. The food was outstanding. Best steakhouse we've been to in Vegas. My meal was excellent! The ambiance was impeccable! Surf and turf was outstanding. Great service. This was my second time here, and it remains on my short list of top steakhouses in Las Vegas. Price does not match food quality or atmosphere. Would not recommend based on other places available. Really enjoyed the Cajun dusted Delminico. It was cooked right and the taste was delectable. My servers were attentive and anticipated all my needs. The hostess was also very kind. I thought the price was somewhat exorbitant for some things such as the potatos and soft drink. Overall it was a very plleasant experience. This is one of the best steak houses in Vegas. The executive chef is absolutely amazing! The service is unreal. Our server was Robert and he is one of the best servers we have ever had! The food is amazing! The over all atmosphere is incredible. As soon as you walk in the door and the hostess greets you, you know your in for an outstanding night. We will go back EVERY time we go to Vegas. We will be customers and friends for life! N9ne still has one of the best bone in ribeye steaks around. Was in Vegas and made a special trip to eat there since they closed the N9ne in Chicago. It did not disappoint. Steak was outstanding. Device excellent. Great value for the price. We had high hopes for this restaurant. It is beautiful and we were going to be seeing a concert at the property, so the location was convenient The staff was very nice and our waitstaff was great. I loved the lobster mac & cheese, but the rest of our meal was only fair....nothing special. For the price, we really expected FABULOUS!!!! This was not a cheap dinner by any means, so it was sad that the only thing that really tasted good was the side dish. In all fairness, we didn't say anything about the food until we were getting ready to pay the check and the waiter asked us how we liked our dinner. And, the manager did come to the table to see if he could offer dessert or an after-dinner drink. We declined and paid the check (leaving a nice tip for our waitstaff). It may have just been an off night for the chef / kitchen, but I don't know that we will be returning to this restaurant for anything beyond a nice glass of wine at the bar before a show. As always, the N9NE did not disappoint. 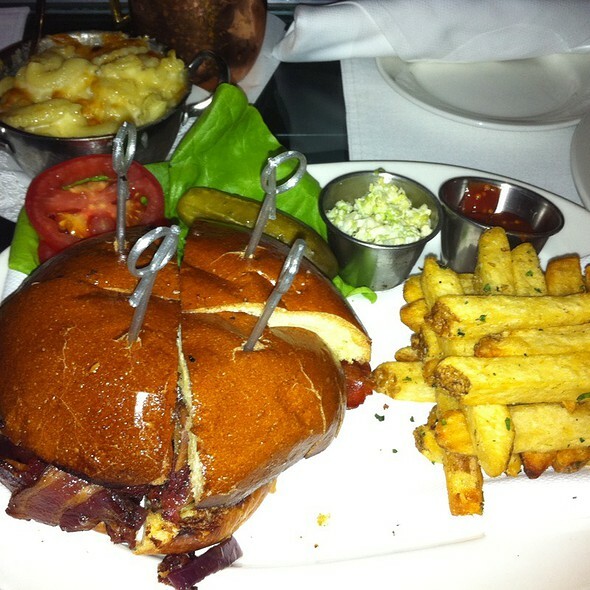 The food is always amazing, the service is great! We make sure to hit this place up every trip to Vegas. Expensive, but well worth every penny!